Plans are coming together nicely for our return to Hingham, Mass, for a 2019 reunion on the 22nd of June. We were last there in 2008 (see "Hingham Reunions" page for more), and we're thrilled to be able to revisit the location again. The following details on the reunion were provided by local Hingham host Michael Studley and editor Jeanne Ryder, and were printed in the Leavitt Leaves newsletter, Vol 34 Issue #4, and Vol 35 Issue #1. For our non-member visitors to this page, who are very much welcome to come join us, here is a run down on the NALF event. On Friday night (June 21st), early reunion attendees (and any other interested parties) will all get together around 5:30 PM for a Dutch Treat meal and socializing in downtown Hingham, the location still TBD. The May issue of the Leaves will have all the details once we get an idea on how many plan to attend the gathering. If you would rather use Paypal to pay for your reunion registration, please use the button below. Note that the system did not allow a "children under 16 are free" drop-down option, so please use the "note to seller" section within Paypal to let us know if any will be attending. Also, let us know your Leavitt line and Generation (if known), so name tags can be properly filled in. Thanks! The main reunion event (at the GAR Hall) will be on Saturday, June 22nd. Following the morning meeting, all attendees will gather for group photos prior to lunch [the buffet meal is included in the registration price of $35]. ​Reunion participants will be invited to visit the newly renovated, fully handicapped accessible, Hingham Heritage Museum. 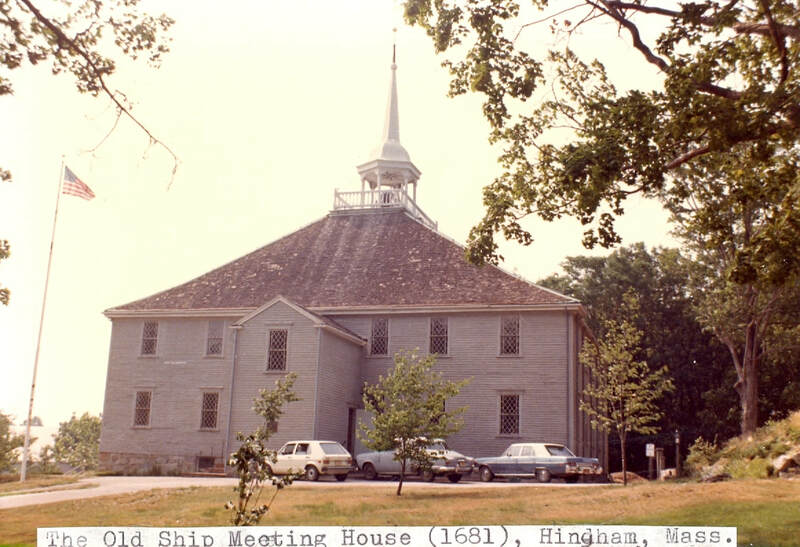 The federalist building (built 1818), was the site of perhaps the first co-ed school in the country and now houses over 10,000 Hingham related artifacts/documents. Attendees are also encouraged to visit the Old Ordinary, a 1680 tavern that is now a house museum with period-appropriate furnishings. This guided tour costs $3. It is also anticipated that there will be a tour of the 1681 Old Ship Church, where John Leavitt was its deacon, and which is still in continuous use today. 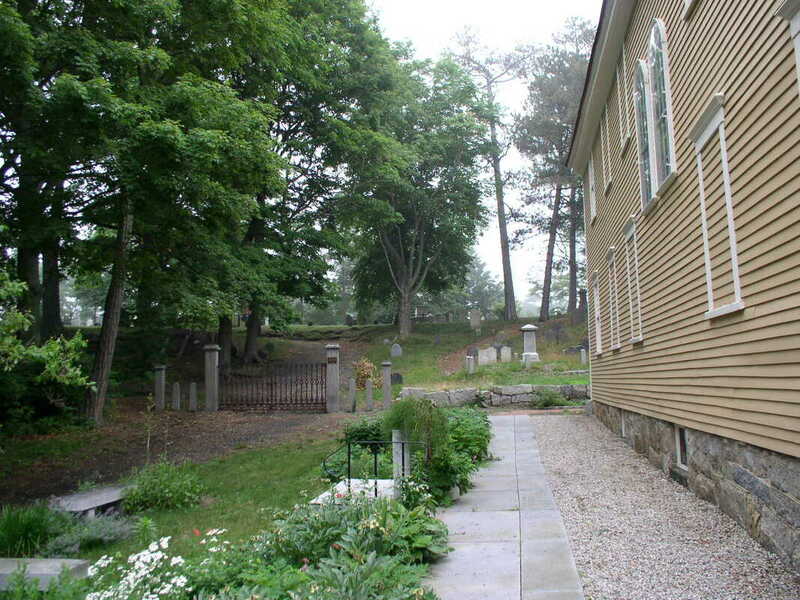 For those willing to engage in leisurely walks, tours of the Hingham Cemetery and the Hingham Centre Cemetery (including the tomb of Deacon John) will be given. The walks (or drive) may also include views of (but not visits to) various 18th– and 19th–century Leavitt homes. ​PLEASE watch this page for more information as we work on finalizing plans for the reunion. There are none, but there are two convenient ones in neighboring Rockland right on Hingham Street which takes you directly to our activities. We recommend Trivago.com to find the best hotel rates. Look for Comfort Inn and Best Western on Hingham St. Also ask if they have AAA or AARP discounts.